While you're welcome to make a case for why red, or orange, or yellow is the best Starburst flavor, the fact that pink (strawberry) is the absolute best flavor in the pack is simply not up for debate. 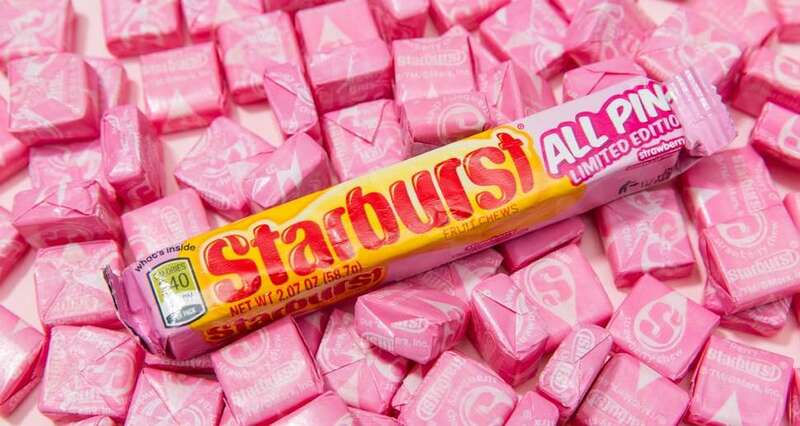 Starburst knows this, and for the second time ever, the company is unleashing limited-edition, all-pink packages filled with nothing but the beloved flavor. This time, there's pink Starburst swag, too. Starburst officially announced the return of All Pink packs on Wednesday, a little more than a year since they first hit store shelves. The special packs are now available at retailers nationwide, including Target, Walgreens, Dollar Tree, and more, according to a spokesperson. In other words, you'll no longer have to worry about finding only one or two of the tart and chewy pink squares and too many of the decidedly less delicious orange and yellow ones (the red ones are OK). But just like last time around, All Pink will only be around while supplies last. Along with the new batch of All Pink packs, Starburst is also introducing a line of pink Starburst swag, You Are a Pink Starburst, with items starting at $10. 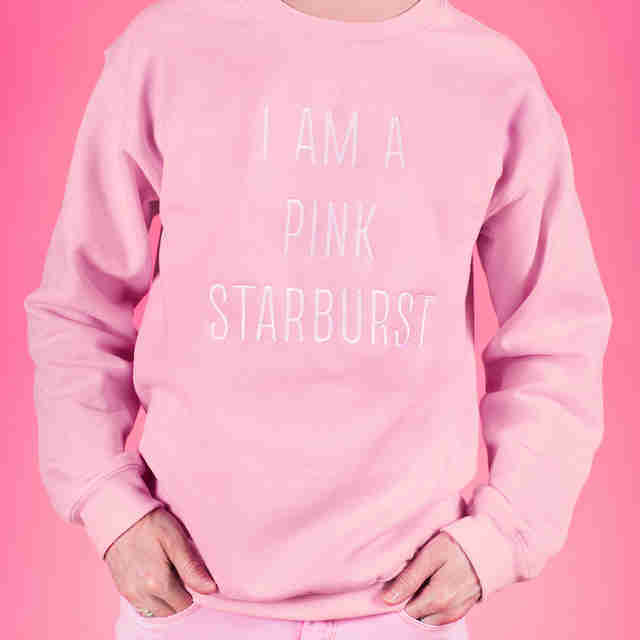 The extremely pink collection includes everything from tees, sweaters, and denim jackets to a $650 pink neon sign that says "You Are a Pink Starburst." A Starburst spokesperson describes the merch best: "If 'yaaaaas queen' was a merch line, this would be it." There you have it. So, between the flood of pink Starbursts and equally pink clothing, you'll be saying "yaaaaas" in no time. Tony Merevick is Senior News Editor at Thrillist and still has a ton of pink Starbursts left over from last year. Send news tips to news@thrillist.com and follow him on Twitter @tonymerevick.